Everything student life – from halls and flatting to recipes, advice, reviews, fashion and travel. Mid-semester break is here! Here’s some tips on making the most of it. Mid-semester break is a great chance to spend some time on your studies. Make time to finish an assignment early, plan ahead or get your head around a tricky concept you haven’t quite mastered. Karawhuia! Give it heaps! If you are feeling a little bit overwhelmed with assignments or want to get ahead before exams, check out the resources on offer at the Pokapū Pūkenga Ako | Academic Skills Centre. They cover everything from understanding essay questions to referencing and lab reports to tips for giving a talk. Also keep an eye out for workshops and seminars coming up in Term 2. Most importantly it’s all about balance – me whakatā, take some time for yourself, recharge, rest, hang out with mates and do a few things you really enjoy. And remember to celebrate everything you’ve achieved so far. 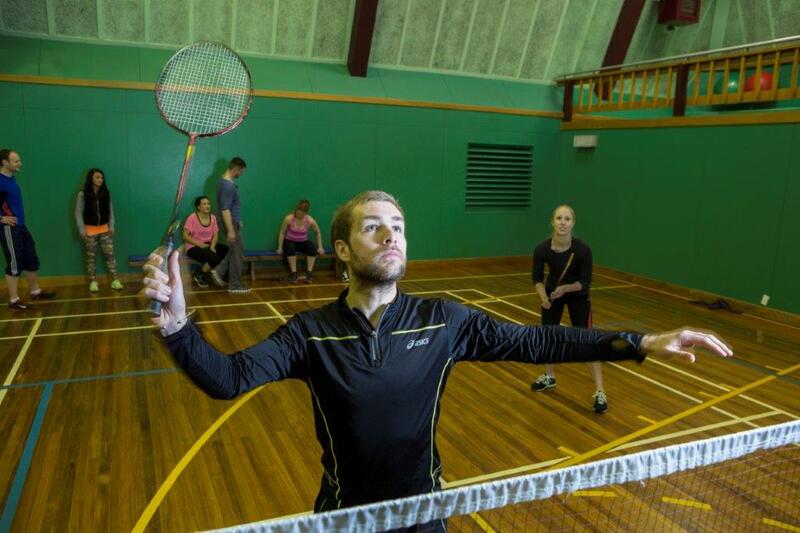 Term time drop-in sport sessions have been extended to run over the mid-semester break, so you can turn up and play sport, and there’ll be someone there to play against/with. We’ve partnered with UC Badminton, so you can play on Sundays from 1-4pm at absolutely no cost, and all equipment is provided. No experience required. We’ve also partnered with UC Amateur Sports Society to bring you Bumper Ball on Wednesday 24 April, because who doesn’t want to run around in a plastic bubble kicking a ball?? Keep an eye on Insiders, and our Rec & Sport Facebook page for more details coming soon. Try to get out and about at least once a day. Take a walk to the park to read your book or listen to music, or simply to just sit and relax in some greenspace. Explore the botanical gardens, or closer to UC the Mona Vale gardens, perhaps even visit the art gallery or museum. Try to keep your exercise routine and eat good nourishing food. Baking is a relaxing activity for many, so it might be a good time to bake up a storm – share with friends, and freeze for term time treats. If you haven’t got an exercise routine, now is a great time to start! With a bit more time up your sleeve, you can plan an exercise routine, explore the RecCentre, attend group fitness classes, or get some free gym advice in StartMe fitness starter sessions. 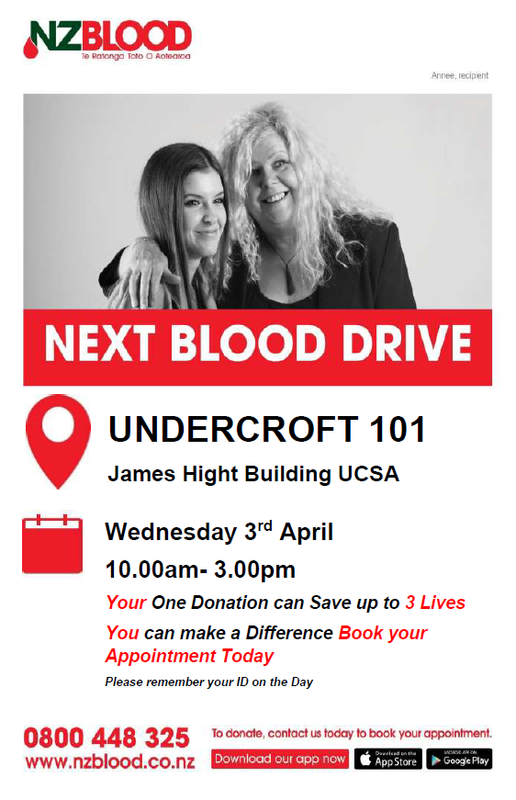 The next blood drive will be at Undercroft 101, James Hight Building – please bring your ID with you on the day. Your one donation can save up to three lives, so get behind it! The mid-year examinations will be held from Monday, 10 June to Saturday, 22 June. The timetable will be available on the examinations website from Friday, 22 March. You will also get an e-mail with your personal timetable. Please make sure that you check the dates and times of your examinations carefully. It is also important that you avoid making any personal commitments during the examination period as you are expected to be available to sit your exams as scheduled. Holiday plans are not valid grounds for the rescheduling of exams. Room allocation information will be published on the examinations website on the last day of lectures for Semester One (31 May). Calculator checks for courses that need it are available from the Information Desk (Matariki, Level 1) on a drop-in basis. Please see Examination Instructions for further information. For assistance with revision and exam preparation, stress management and other academic matters, check out the courses running at the Academic Skills Centre this term. All the best for your studies this semester.